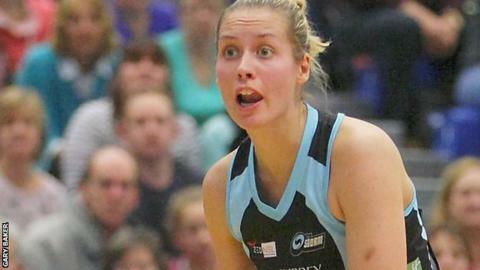 Surrey Storm player-coach Tamsin Greenway says her team will learn from the shock defeat by Manchester Thunder. A last-minute winner by Helen Housby gave the underdogs a dramatic 49-48 victory in the Superleague final. It meant Storm missed out on the title despite going through the regular season unbeaten. "As a coach you look at it and assess it. We'll now forget this game and move on to next season and everybody learns something from it," said Greenway. "Hopefully when you're in that position again you make sure you're two or three goals up with 30 seconds to go. "You can't put it down to 30 seconds in a game. You should never be in that position, because who's to say that if we'd got it down there we'd have got the winning shot." Storm were favourites to win the title and looked confident at half-time, going in 26-22 ahead, but Thunder held their nerve and were level on points with less than a minute to go. Greenway told BBC Radio 5 live: "I thought it was ours, I really did. "It was clear we couldn't play our style of game which we played all season. Experience shows you have to adapt, and some of our players got caught out. "That's frustrating for me as a coach, but it's one of those things. Would I rather be out here in the final and lose every time than play third and fourth? Of course I would. Every year you come back to try and win it."